Formally known as the Joseph Dupuy Residence, the South Seas House is a 20th century house turned into a community center. 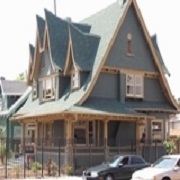 Located in the historic West Adams District, the South Seas House was restored to create a gathering place for the community. The House is owned, managed, and staffed by the Los Angeles Department of Recreation and Parks.